A three hour drive from Bangkok gets you to one of the least crowded beaches of Thailand, where guests can enjoy all there is to offer with a stay at Foresta Resort. The resort is 10 km from the town of Pranburi and 30 km from Hua Hin. Guests here can enjoy several activities such as kayaking, fishing, and even an ATV adventure tour. Attractions to visit include the Sam Roi Yot National Park, Hua Hin Railway Station, and the Summer Palace. The daily night market is an excellent venue to try street food and pick up some souvenirs. Set away from the city, Foresta Resort makes for a peaceful holiday in Pranburi. Short Description: A three hour drive from Bangkok gets you to one of the least crowded beaches of Thailand, where guests can enjoy all there is to offer with a stay at Foresta Resort. 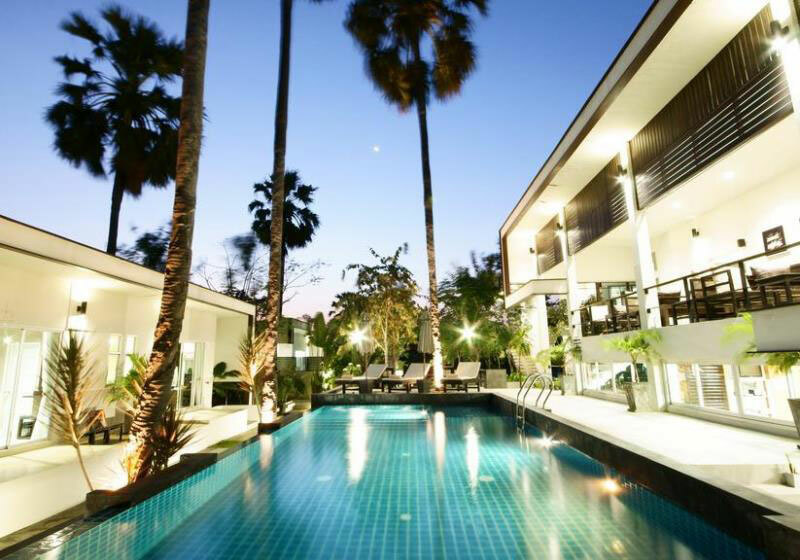 The resort is 10 km from the town of Pranburi and 30 km from Hua Hin.